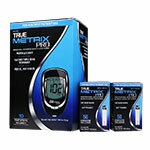 The TRUE METRIX PRO blood glucose test strips can only be used with the TRUE METRIX PRO Meter. 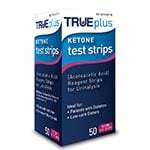 These test strips feature TRUE METRIX's patented TRIPLE SENSE TECHNOLOGY ensuring that your glucose test results are accurate. 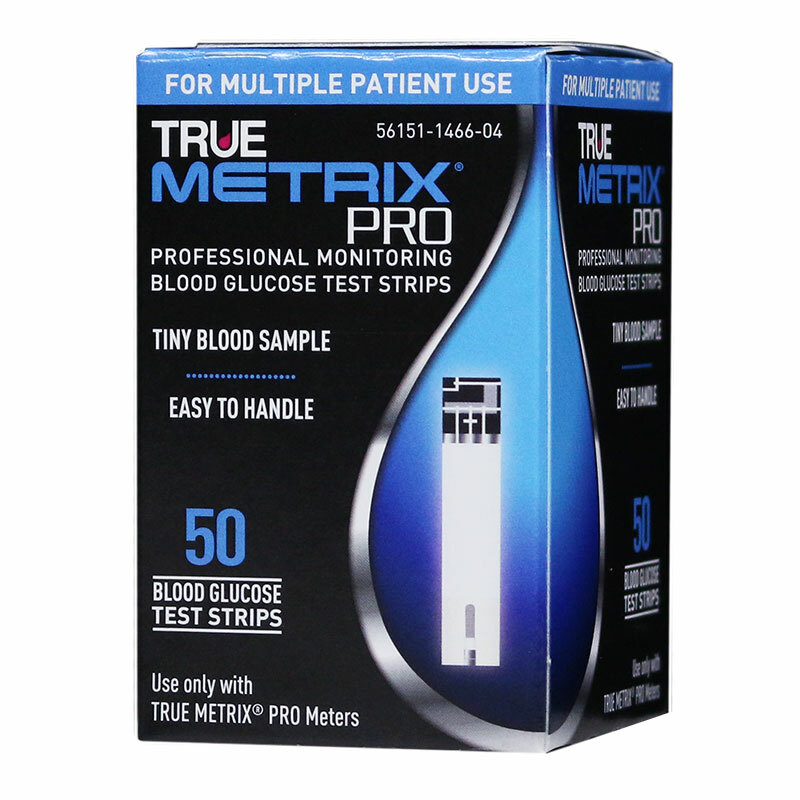 The TRUE METRIX PRO Glucose Test Strips feature the TRIPLE SENSE TECHNOLOGY and No Coding Technology, which eliminates the need for coding on the TRUE METRIX PRO Meter. 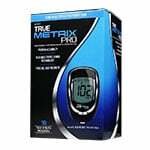 The advanced technologies of the TRUE METRIX PRO test strip, when paired with the TRUE METRIX PRO Meter, provide reliable, accurate results. 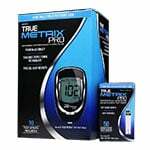 The TRUE METRIX PRO Blood Glucose Test Strips can only be used with the TRUE METRIX PRO Meter. 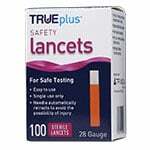 Sample Environment: The test strip is built with an electrode pair that detects the hematocrit. The internal unit in the meter detects the temperature. 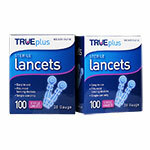 Sample Size: The system triggers the proper fill detection which eliminates errors due to the wrong sample size. 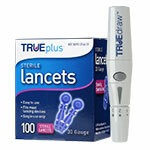 Control: Automatically detects the control solution and identifies the results in memory for accuracy. Environmental Factors: Analyzes the testing environment for hematocrit and temperature, thus improving the accuracy of results. Physiological Factors: Eliminates incorrect results by offering an error code if the testing has moved outside the operating temperature range. Hematocrit / Temperature Variables: Launches a proprietary dynamic adaptive algorithm which checks for active hematocrit correction and temperature compensation. This algorithm corrects the results based on the testing environment to ensure the accuracy in results. 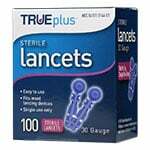 Only requires 0.5ÂµL blood sample. 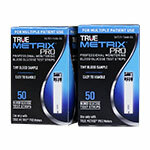 Contains 50 TRUE METRIX PRO Blood Glucose Test Strips.